Losing data from iPhone or iPad is almost unavoidable. The precious iDevice can drop to the toilet, hits the ground, shatters to pieces, what is worse, you will lose the majority of your data on the device in most cases. Thankfully, we have services like iCloud that automatically backup your data, making it easily retrievable in the case of a shattered or damaged smartphone. However, iCloud provided by Apple is not as reliable as you have been expecting. And thousands of customers are suffering from the losing data like messages and recent calls due to restoring from iCloud backup. Worse still, if you ever want to get more storage, it’s quite pricey compared to competitors. Fortunately, there are other options for your to backup your iPhone or iPad and save your iOS data. What is crucially important is to have a backup of your device on your PC or MacBook. > Plug your iPhone into your computer and open up iTunes. >Select File > Devices > Transfer Purchases. This will save all of the content you’ve purchased via the App Store or iTunes Store on your computer. >Wait for iTunes to finish transferring your purchases. > Select File > Devices > Backup. > iTunes will begin backing up your device. Depending on how much data you’re backing up, this could take some time. After it’s finished, make sure it was a successful backup by heading into iTunes Preferences > Devices. You should see all of your backups with your device name and the date and time the process finished. Google Drive is a great place to backup a lot of content, mainly because of the 15GB of free storage you get with your Google account. That’s more than enough to handle important documents along with a robust photo library. >Download the Google Drive application for Windows or Mac. >Run Google Drive. You don’t need your phone plugged in since iTunes already backed up all of your files. >It’ll ask you to sign-in and then run you through a fairly short setup wizard. Follow the steps, and click “Done” once you’re finished. Google Drive should now be on your computer and the Google Drive folder it created will automatically open via your native file explorer. Then just copy and paste the backup folder in your Google Drive folder, as instructed above. However, it could be a bit more complicated finding your backup. To get specifics on either Windows or Mac, open up iTunes and head on over to iTunes Preferences > Devices. Either Control click or right click the backup you want, and click Show in Folder or Finder. It should take you to the exact location where your backup is. Keep in mind that if you ever lose the backup on your computer, you can download your extra copy from Google Drive, but you’ll need to make sure to put it in the exact same file location you got it from. Head on over to Dropbox.com, sign-up for an account, and download the correct version for your operating system. It’ll take you through the setup wizard, and once you’re done, just like you did above, you can copy your backups and paste them in the Dropbox folder, putting it in the cloud. Dropbox certainly isn’t for the power user, but it’s a great place to keep a third backup if something were to ever happen to your other two options. And of course, even though iCloud isn’t the best for keeping your device backed up, it’s always good to have turned on, as it makes setting up a new device or restoring apps after a reset a seamless process. I just wouldn’t put all of my faith in it to alone to house pertinent files. It’s good to make sure you have various copies across services. To make sure you’re set up with iCloud, unlock your device, head into Settings > iCloud, and ensure all of the apps, documents and data you want in the cloud are actively being backed up. 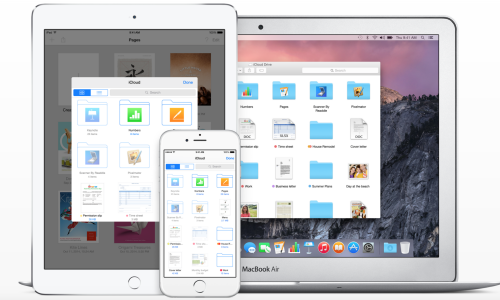 For some apps, such as Notes and Mail, you’ll need to create a free @icloud.com email address. iFoneBackup is a free desktop backing up program. You can back up everything on your iPhone or iPad to your computer just with one click. And it is free. You can head on to http://www.ifonebox.com/ifonebackup to download the full version and get it installed on your computer. Then connect your iPhone or iPad to your computer. Click Back Up Now after your iPhone or iPad is recognized by iFoneBackup. It will take some time to finish the process of backing up depending on how much data you have stored on your iPhone or iPad. Please wait with patience. One thing you need to pay attention is that you need to copy the backup created with iFoneBackup to Users/Username/AppData/Roaming/Apple Computer/MobileSync/Backup where iTune Backup file is supposed to be located when you want to restore from backup. If you’re really paranoid about losing data, even after you’ve put backups in the cloud, you can always go the traditional route and put backups on hardware, such as external hard drives and USB thumb drives. It works virtually the same way as putting your data on the cloud. Only, instead of pasting the backup in your Google Drive or Dropbox folder, you’ll need to find your external hardware device in your file explorer and paste it in there. These days, data is massively important in our lives:we might be carrying around sensitive financial documents for businesses on our devices or it could be a timeless photo of your child in his or her infancy. Either way, our data is just as important to us as physical items are, and they should be put away safely on the shelf, or in this case, in the cloud. Keeping multiple backup files for your iPhone or iPad locally or in the cloud, you will never panic whenever data loss happens. What are some ways you keep your data safely backed up? Please Comment below and let me know. This entry was posted in iCloud, iFoneBackup, iOS Device, iPad, iPhone, iTunes, Tips and Tricks and tagged backup, Dropbox, Google Drive, iCloud, iFoneBackup, iPad, iPhone, save ios data by IosdroneD. Bookmark the permalink.